Who are the farmers of tomorrow? Here on Buyers' Walk, you seldom cross paths with the young men and women training for a career in food production. 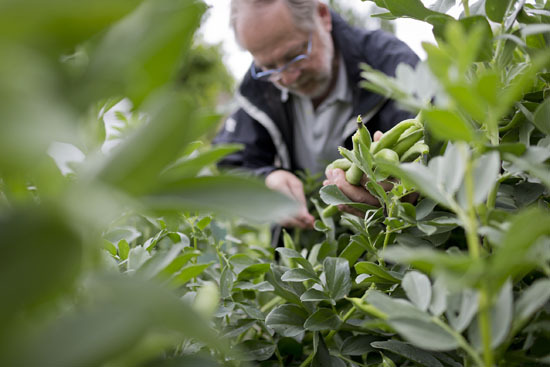 Future suppliers and growers are vital cogs in our food chain. So we travelled to Plumpton College in Sussex, where students hone their skills. 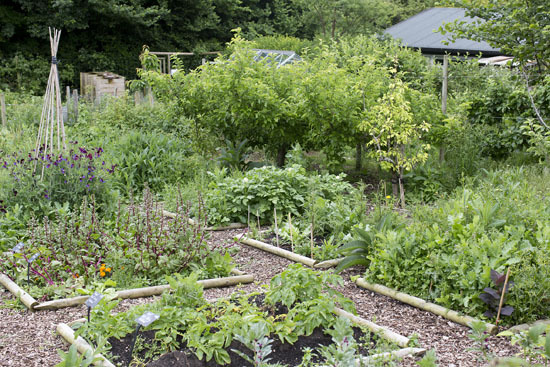 James Pashley leads courses in horticulture in the tranquil grounds of Stanmer Park. 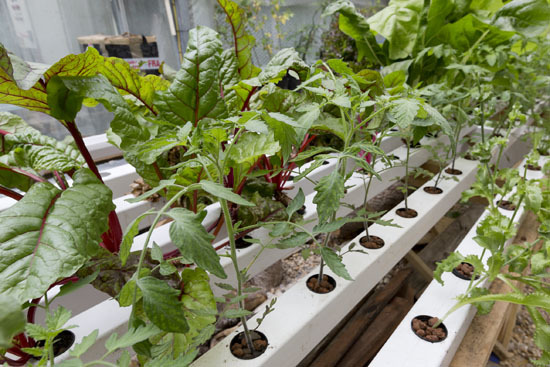 It's a gorgeous site, with open ground, ﻿vineyards, polytunnels, greenhouses, and even an aquaponics workshop, where students experiment with cutting-edge techniques for producing both edible crops and fish in an integrated, soil-less system. The students are a varied mix. Some have left jobs as lawyers or in the financial services to broaden their horizons. "They all say the same thing - you can only do jobs with that level of stress for a finite number of years," he says. 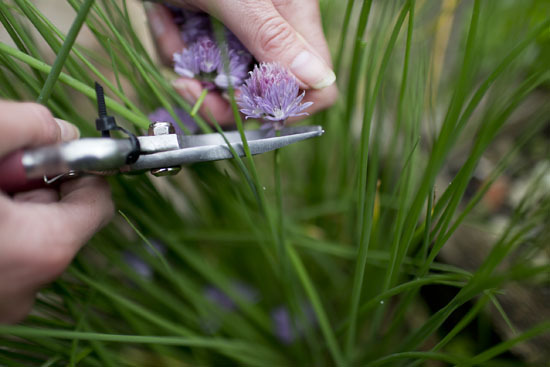 Agriculture and horticulture offer a broad range of job opportunities. "Every student who has wanted to enter the commercial production side of things has found employment. More than that, they have turned down jobs." I meet students harvesting crops for their end-of-term lunch. "I wanted to change what I was doing," explains Shamima Islam, 30. 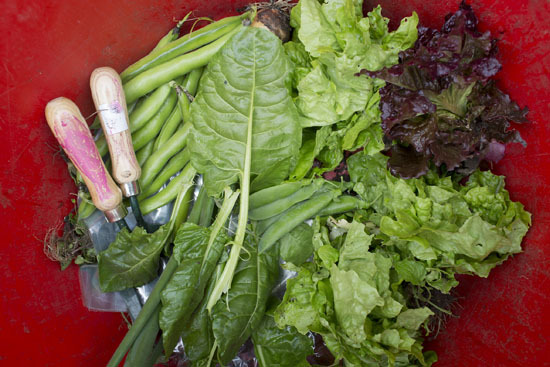 "As a chef I'm really interested in the vegetable side." ﻿She describes a restaurant in Brighton where they grow herbs and salads on their roof. Shamima is interested in more unusual, niche crops but is wary of fickle fashion: "At the end of the day [the chefs] seem to come back to things that work." 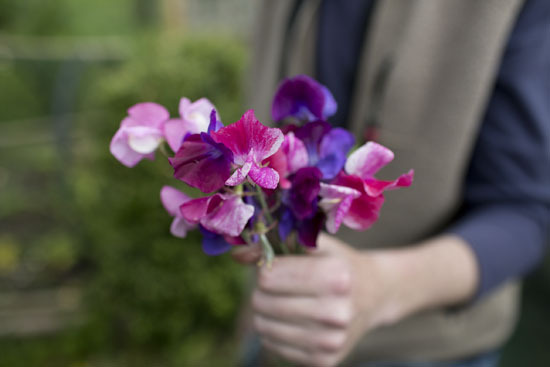 Nicki Shipley, 42, is collecting edible flowers: "We've learnt a lot. 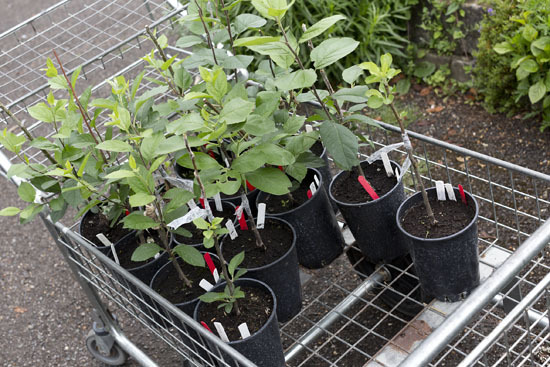 It's been really varied: planting trees in an orchard; grafting; learning how to take cuttings; growing veg." 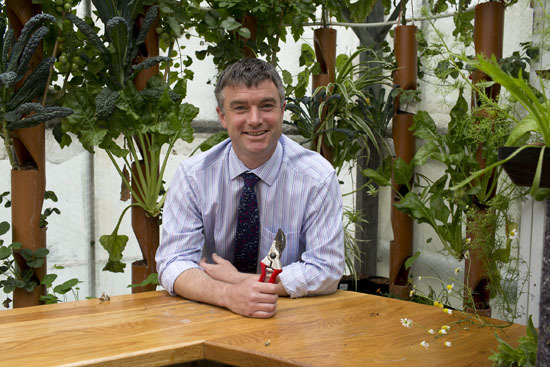 ﻿"I've been involved in the food industry for many years. It's given me the knowledge base," says Seamus McDonnell. Plumpton College is particularly proud of two creations. 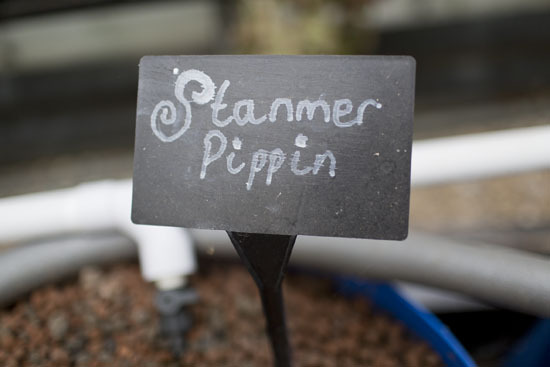 The first is the Stanmer Pippin, an apple variety first grown here in the 1960's. Students use grafts to reproduce the tree for a wider distribution. "We can't grow enough - there's a big waiting list," says Jim Miller, one of the teachers. I meet Erica Dellner, 28, who is checking the grafts of their apple trees. 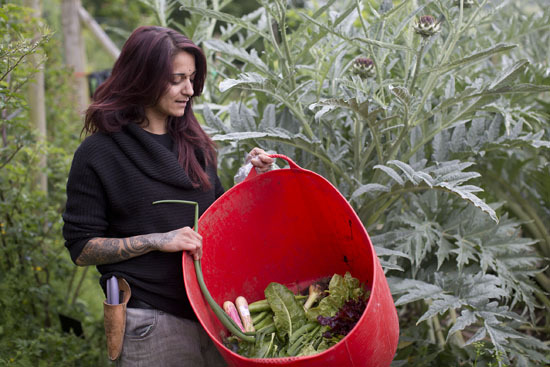 "I'm really interested in food growing," she says. "The course is a catalyst ... for taking it into more of a professional context." The Plumpton King tomato is another feature here: a heritage tomato plant recently rediscovered at Plumpton College. 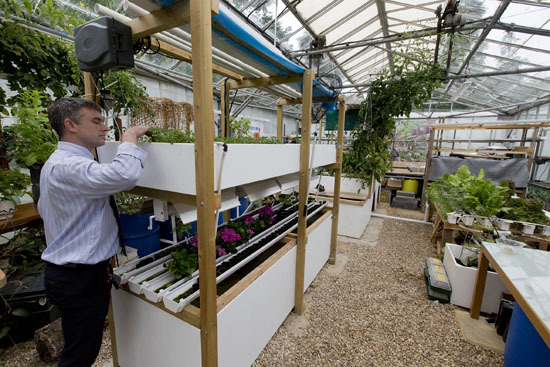 In one greenhouse, the college has worked in partnership with a company called Aquaponic Life to develop an installation where students can experiment with different methods of using this technology. No soil is used for growing the crops. 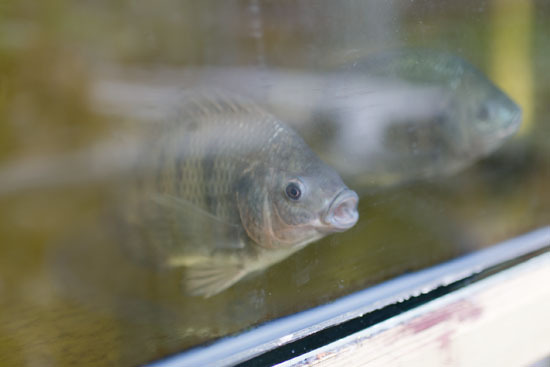 Instead, fish such as tilapia and crayfish are raised in tanks. 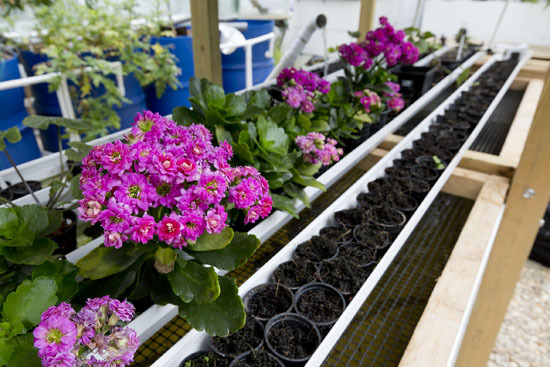 They excrete ammonia that is converted into nitrates and then nitrites by bacteria, which is pumped around the root systems of plants as a nutrient. 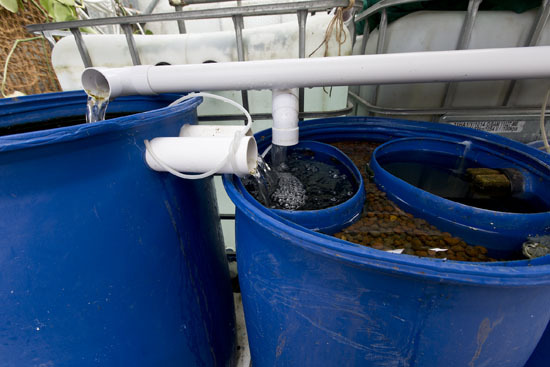 The plants also help to clean the water which is recycled back to the fish in a close-looped system. As I leave, the students are serving up lunch from their harvest - a riot of colour. 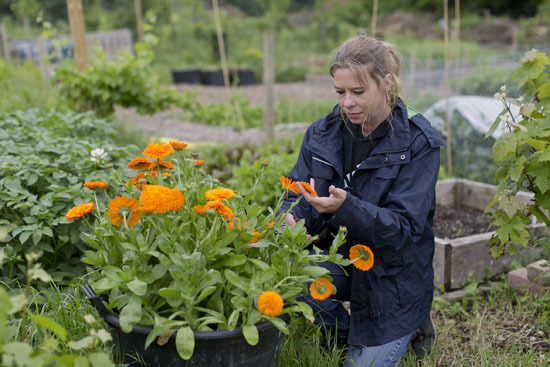 Plumpton College also offers courses in topics such as Urban Horticulture, Viticulture and Sustainability and Conservation in Horticulture. It is not the only institution offering training of this kind. Other key players are Hadlow College, West Anglia College and Pershore College. But Plumpton reaps the rewards of its locality. 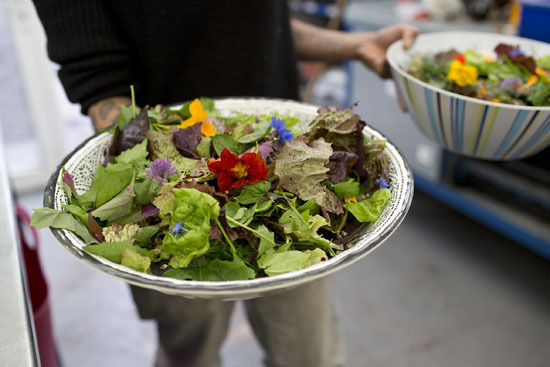 Brighton, Hove and Lewes are areas where there's a huge interest in local and sustainable food production. For proof, look no further than the buttonhole below - only at Plumpton.